There are some cases where negligence is not automatically presumed. Courts have frequently rejected the presumption in cases where an injured party tried to hold the owner liable from a tire blowout accident. Another major topic is under what circumstances we can hold an owner liable for the negligent operation of a motor vehicle that is driven by someone else. In general, an owner who gives his express or implied permission to another person is ultimately also responsible if that person negligently hurts another person. Baseluos Law Firm sees this scenario often. The operator of the vehicle will carry some minimal amount of liability insurance while the owner of the vehicle possesses a much larger liability policy with umbrella limits that can greatly help the seriously injured. A Texas car accident attorney will do preliminary investigation into the liability limits of both the owner and operator to effectively gauge proper monetary compensation for their client. Investigative efforts should also be made to identify ALL owners of a vehicle since the vehicle at issue may have multiple owners with insurance coverage. Another key concept involving the owner versus operator relationship is the concept of agency. An owner is liable for the negligent operation of a vehicle by an agent or employee which occurs in the course of agency or employment. For example, a vehicle driven by the employee of a dealership gets into an auto accident while using the vehicle to transport some passengers. The dealership business in addition to the actual driver is responsible. Often times, these businesses carry commercial vehicle injury coverage. There are exceptions. For example, taxis are often operated by independent contractors and their owners are less likely to be liable. On the positive note, taxi or livery drivers carry insurance with the higher commercial limits. The concept of agency stretches to family cars in which owners can be held responsible for the careless driving of a family member, an extremely common scenario in San Antonio. 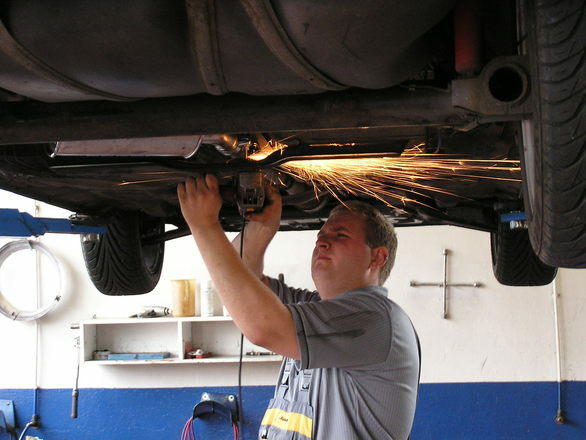 Another common situation occurs when the vehicle operator is a mechanic employed by the owner to repair the vehicle. For example, we hear of mechanics picking up vehicles to be serviced; driving the vehicles back to the service shop after picking the vehicle up from the owners; test-driving the vehicles both when they are requested specifically by the owner to do such tests and when they are not specifically requested; driving the vehicles back to the owners after repair; or in some bizarre cases, using vehicles for their own personal use. In every one of the aforementioned scenarios, the mechanic can get into an accident with the owner’s vehicle. Can the owner be held liable for the mechanic’s negligence ? In most cases, the law says no. The mechanic is considered an independent contractor, free from any control of the owner. In some cases, however, the owner may still be held liable if the owner is deemed to have consented to the mechanic’s operation or in some cases if the owner knew or should have known the mechanic was an unsafe driver. These types of scenarios are quite uncommon. The most common scenario is where an employee negligently commits an accident with a car owned by his employer. The only remaining question is whether the employee was within the scope of his employment when he operated the vehicle. Baseluos Law Firm is well versed in these types of cases and often can get high rewards for client due to the likelihood of a commercial auto policy.